When I got my braces off at the end of 8th grade ( I know, you’re visualizing how cute I was) I was super concerned with the color of my teeth. Would I have marks where the brackets were? And what about the coffee I drink now? Is it leaving stains? Luckily, Smile Brilliant has a fix for all my worries! 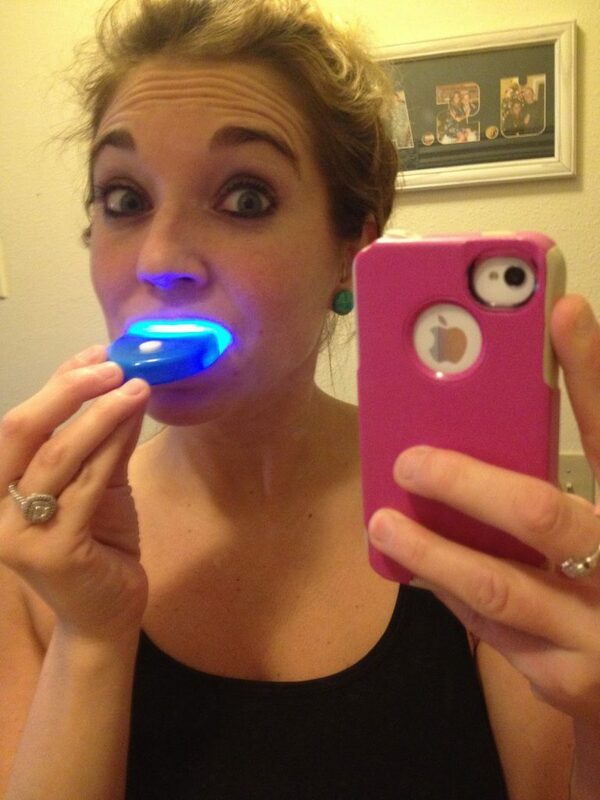 This has to be the most gentle teeth whitening system I’ve ever used. I’ve had professional trays made and the solution I used practically sent sharp shooting pains through my teeth and gums. I haven’t had any such problem with Smile Brilliant. The directions are super easy to follow and you can do it as much or as little as you want. I’ve only done it three times, about once every week. I can see a small difference already, and imagine if I did it more often! A session can last anywhere from 30 minutes to 2 hours, depending on how much time you have. I’ve done as little as 20 minutes somedays. You also don’t have to keep the light in the whole time! You just paint on the gel from the tube, use the brush to spread it out, insert the trays to protect your gums, and put your lips around the light. I received this kit as a gift. No other compensation was provided. All opinions expressed are honest and my own.